Winter is OVER. Everything is new again! Before I get started though, I must continue to think good thoughts and send all our love to Curtis Salgado! After all he has given us, we gladly cheer him on to a quick and strong recovery on his triple bypass surgery. With all those new belts & hoses, he’ll be good for another 300,000 miles easy! Returning from a fantastic (and productive) trip to Nashville, I’m excited and honored to be a guest at Cal Scott’s “Songwriters Showcase” Monday, April 3, at O’Connor’s in Multnomah Village, 7pm. These are truly creative and inspiring events that are not to be missed. Bringing some new notes for this one. Great shows this month: April 15, at Hwy 99 in Seattle with LaRhonda Steele; and a wonderful fundraiser here in Portland on April 22 that Norman Sylvester does every year at the NoPo Eagles. Gotta love the “Boogie Cat”! Saving the best for last… on Saturday April 29…I’ve got three reasons for ya’ll to come out to “Catfish Lou’s”! 3) Lots of special guests and crazy fun! Besides our nightclub performances, Norman would like Portland’s blues lovers to know about two upcoming bigger shows. The Inner City Blues Festival was a popular, annual event sponsored by the Portland Rainbow Coalition that began with the “Jam for Jesse” Jackson presidential campaign in 1988, in the old Royal Esquire Club on NE Alberta Street. The Rainbow Coalition continued the festival series through 2003. True to the spirit of the Rainbow Coalition, in 2012 Health Care For All Oregon revived the Inner City Blues Festival with the goal of making known HCAO’s mission to vote-in a universal, affordable, single-payer healthcare system for all Oregonians, and ultimately, all Americans. 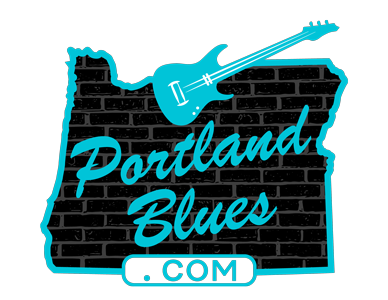 This year’s Inner City Blues Festival, the 6th Annual Healing the Healthcare Blues, will return to the North Portland Eagles Lodge April 22, 6:00 pm till 12:00 am, doors open 5:30. The 2017 lineup features two stages of entertainment with the Lloyd “Have Mercy” Jones Band, Steve Cheseborough, Mary Flower, Tevis Hodge Jr., the Strange Tones with the Volcano Vixens, Bloco Alegria, Obo Addy Legacy Drummers, Shoehorn the tap-dancing sax player, the Doo Doo Funk All Stars, rapper Mic Crenshaw, the Mad as Hell Doctors and the Norman Sylvester Band with Lenanne Sylvester Miller, and the Boogie Cat Horns, Peter Moss and Shoehorn Conley. The festival will be simulcast live on KBOO radio, on the airwaves at 90.7fm, and streaming worldwide at www.kboo.fm. The address of the North Portland Eagles Lodge is 7611 N. Exeter, one block west of Portsmouth on Lombard Street, Portland OR 97203. Cost of admission is $20 in advance, or $25 at the door. All proceeds go to support Health Care For All Oregon. Food and drinks including adult beverages are available, must be 21. Advance ticket sales at Music Millennium, Musician’s Union Local 99, Geneva’s Shear Perfection, Peninsula Station, Cascade Blues Association meetings, or online at www.tickettomato.com/calendar?search=inner+city&city=all. This show has always sold out, plan accordingly. Friday June 2, Boogie Cat Productions presents the Phenomenal Concert at the Alberta Rose. This unique night of music traces the journey of American music from Africa to the Mississippi Delta and beyond. The art forms of blues and gospel music have been used for communication and inspiration since the days of slavery. Performances by Portland artists will illustrate music from the cradle of birth in Africa, the cotton fields of the Mississippi Delta, and our urban cities. Join us for this healing music celebration. The Norman Sylvester Revue featuring LaRhonda Steele, Lenanne Sylvester Miller, and the Boogie Cat horns, Renato Caranto & Peter Moss. The address of the Alberta Rose Theater is 3000 NE Alberta Street, Portland OR 97211. Showtime is 8:00 pm till 11:00, doors open at 7:00. Food and drinks including adult beverages are available, minors must be accompanied by a parent. Admission price is $20. Advance tickets recommended, online at www.albertarosetheatre.com/tickets.html, by phone (503) 764-4131 or at the box office. Box office is open one hour before any Alberta Rose show. All right! There is finally going to be a grave marker for the great Bo Carter, one of the best guitarists and lyricists in blues history — make that in American music history of any genre. Carter was one of the stars of the 1930s blues scene, selling records like crazy and recording hit after hit during the depths of the Great Depression, and doing it without moving out of his home in rural Mississippi. He also managed, and often played with, the Mississippi Sheiks, featuring his brother Lonnie Chatmon on violin. I became enthralled with Mr. Carter’s music many years ago, after picking up a Yazoo collection of his just because I liked the look of his National guitar on the cover photo. Little did I know I would get to play that guitar someday, as I worked on my master’s thesis on Carter and his music as a Southern Studies student at the University of Mississippi in the late 1990s. And soon I’ll get to talk, sing and play at the dedication of a marker on Bo Carter’s grave, sometime this summer. The Mount Zion Foundation, which has cleaned up many abandoned rural graveyards and placed many stones, has raised the funds to do that for Bo Carter’s grave in Nitta Yuma, Mississippi. (I know there are many worthy charities vying for your donation budget, but if you want to chip in to help with this and other blues-headstone projects, look up the Mount Zion Foundation and send them a few bucks.) And they have invited me to be part of the ceremony, to my honor and delight. Come hear me at any of my Portland appearances and I’ll be happy to play you a Bo Carter tune or three or four, anytime! And if you want to learn how to play his beautiful music yourself, ask about my Blues & Beer Class!